It’s a good thing you can buy a lot of paper clips in one package. For me, they always seem to disappear, so if I start off with a lot, chances are good that I’ll be able to find one when I need it. 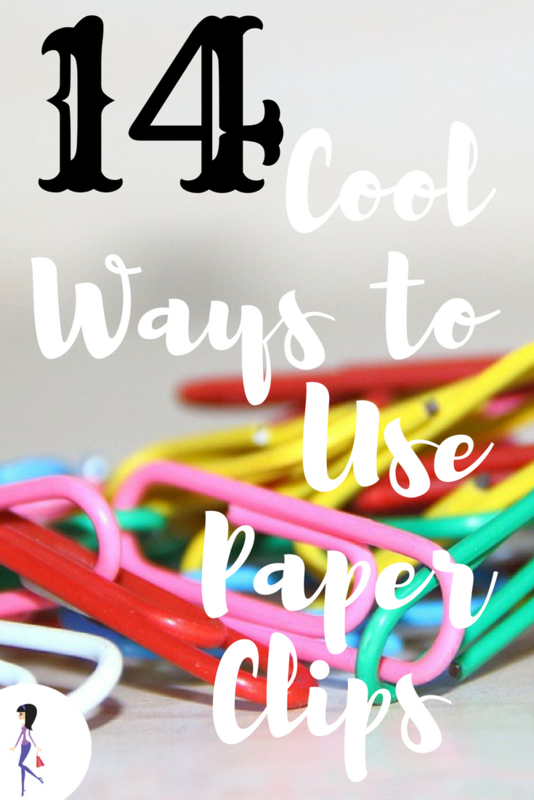 Another reason you’ll want to have a lot of paper clips around is because there are so many ways to use them! Yup, in’s another one of those amazing multitaskers, so buy a big box and get your money’s worth by using them all around the house! Is there anything more frustrating than losing the end of a tape roll? Don’t let that ever happen to you again: stick a paper clip to the end of the roll and you’ll always be prepared for the next time you use it! I use to pick at the hair in my brush with my fingertips, but that’s kind of gross, isn’t it? Open up one end of a paper clip and pull out the hair easily. Let’s say a hem falls down and you need an emergency fix. Or you buy some new clothes but don’t get to tailor them before you just have to wear them. Clip up your hem until you can get it done! Clip one paper clip to each end of the roll to keep it all in place neatly. Attach a paper clip and you can pull the zipper up and down. You can simply clip the paper clip to the page you’re up to, or get a little fancy and tie a ribbon around it! Why are ceiling fan pulls never long enough? Solve this problem by making a chain out of paper clips and attaching to the too short pulls. Use the pointy tip to unclog a glue bottle or a can of spray. 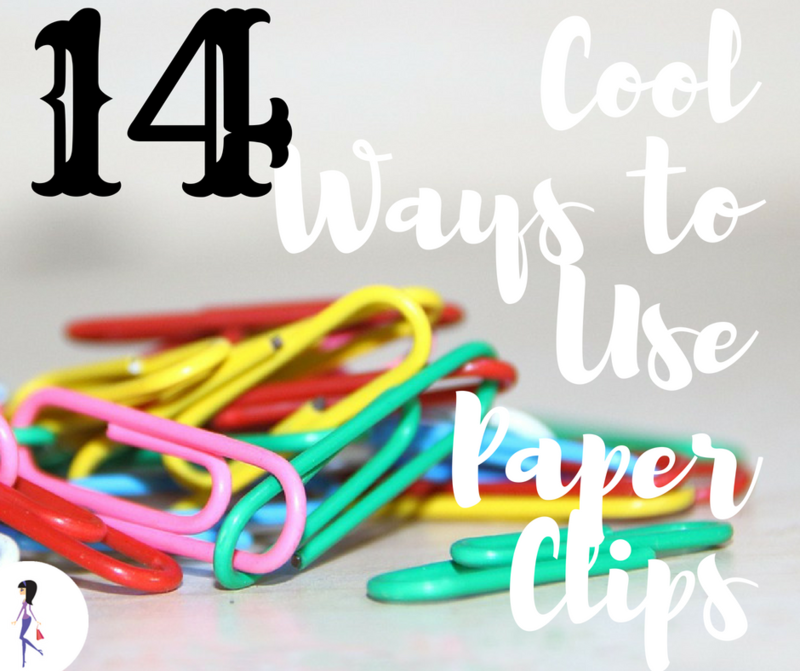 There are so many crafts you can make using paper clips! Do you always feel like you need something to do with your hands? A paper clip makes a perfect fidget toy! You can unfold it and twist it in so many ways you’ll never get bored. Clean your keyboard or any other tight spaces by wrapping a little tissue or paper towel around the tip of a paper clip. If the end of your belt is too long, make it neat by holding it in with a paper clip. Keep bags of food fresh for longer by folding the top down and securing with paper clips. Wrap an opened paper clip around the stems to hold a bouquet together. No need to buy floral wire! How do you use paper clips ? Share with us on Facebook and Twitter!